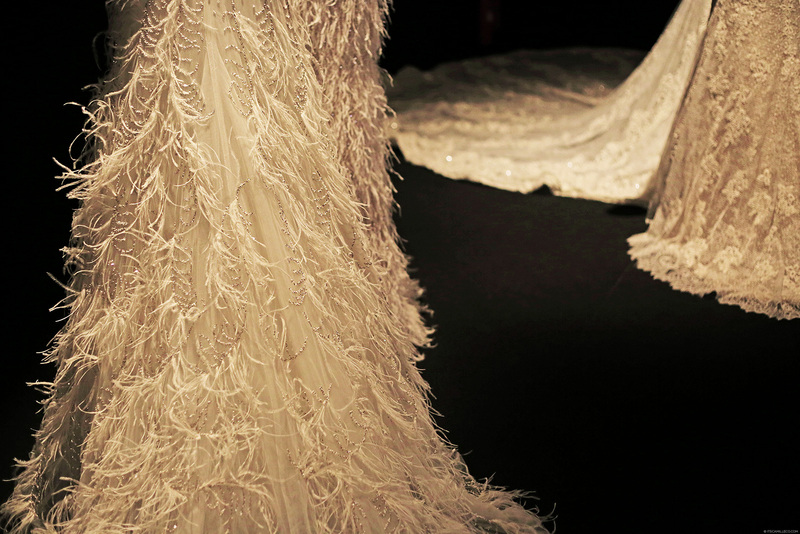 As you all know, I flew to Barcelona mainly for Pronovias’ fashion show during Barcelona Bridal Week. 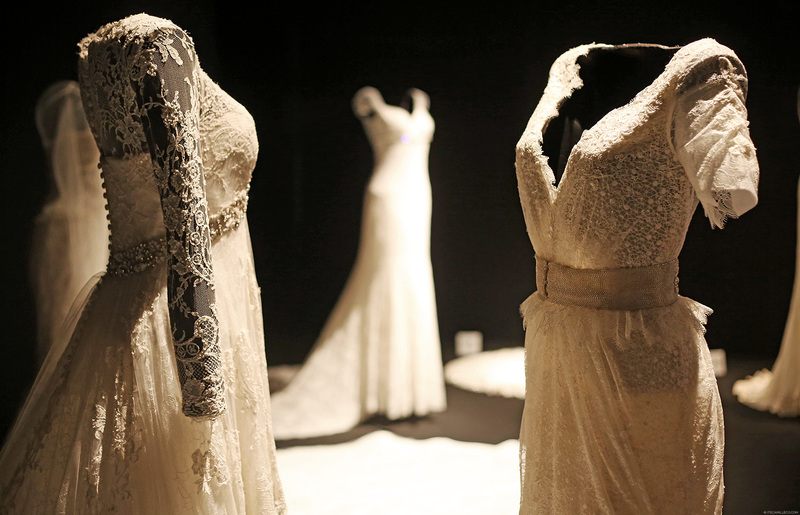 But unlike previous years, this year’s show is extra special because it marks Pronovias’ 50th year in the industry. 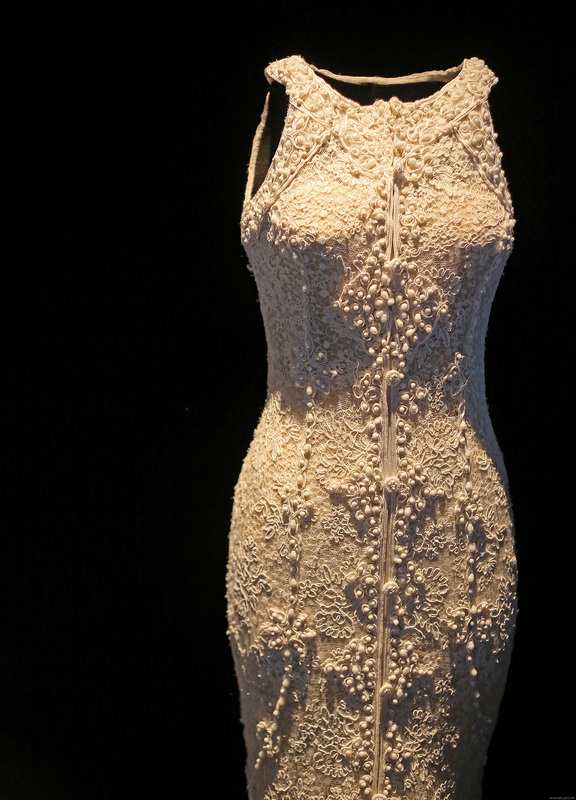 As Pronovias puts it, that’s 50 years of dressing dreams. I couldn’t have said it any better–“dressing dreams”. I have only been designing bridal wear for a few years but I must say, being part of someone’s big day is the most rewarding aspect of my job. The sense of fulfilment you get from helping a bride turn her dream into reality is the best feeling ever. Imagine doing that for 50 years–being part of thousands of couples’ big day, witnessing their love stories unfold. Wow, this is truly something worth celebrating, and I’m glad I get to be part of this momentous occasion. 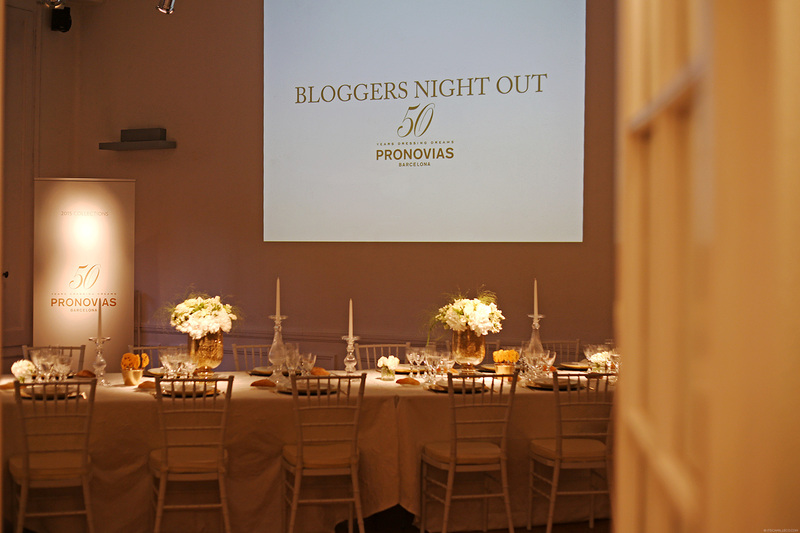 My “Pronovias 50″ experience started the night before the fashion show, with an intimate dinner among the invited bloggers and the Pronovias team. 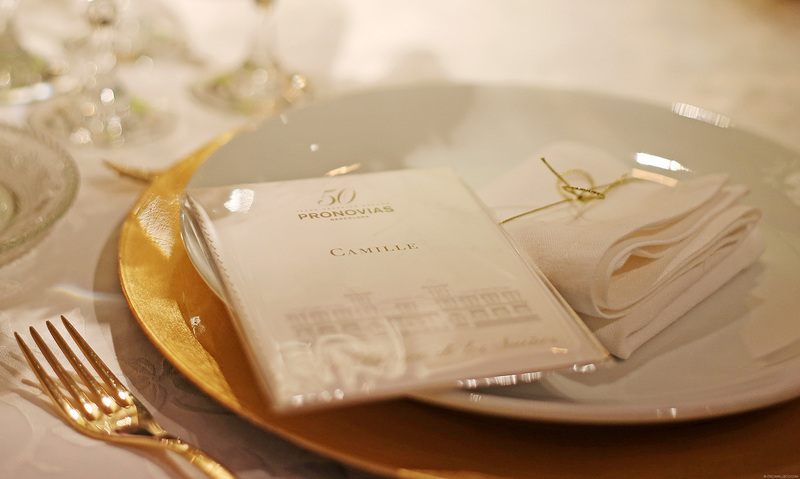 The place was decorated in true Pronovias fashion–romantic and dreamy. Just look at the table setting below. I felt like I was at someone’s wedding! After our dinner, we got to take these sweets home. We were free to take anything we wanted from this buffet table of chocolates and candies. I got so much candies but I was hesitant to eat them because they were too darn pretty. Everything was in theme. 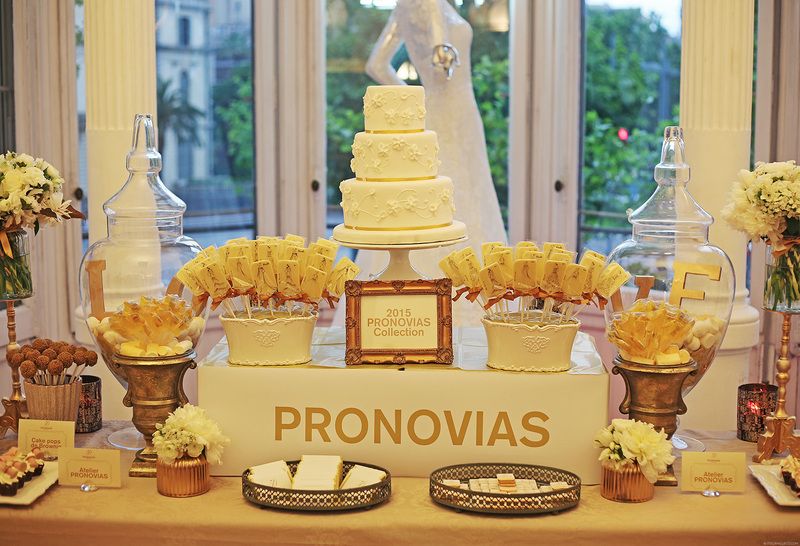 The white chocolates even had Pronovias’ iconic gowns sketched on them! 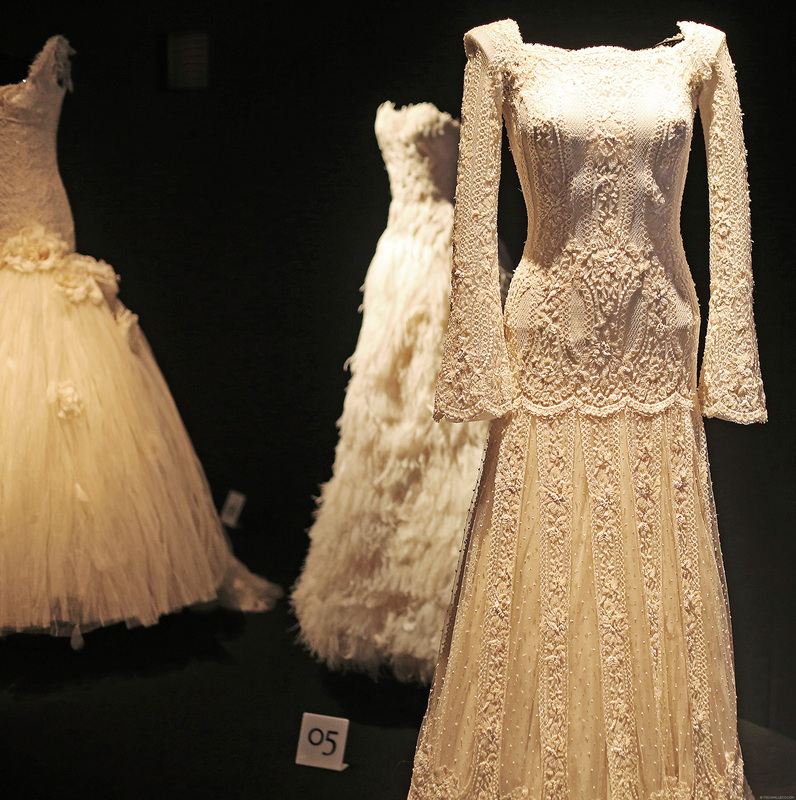 The next day, we went to the Pronovias exhibit entitled 50 Love Stories featuring 50 of Pronovias’ iconic gowns. 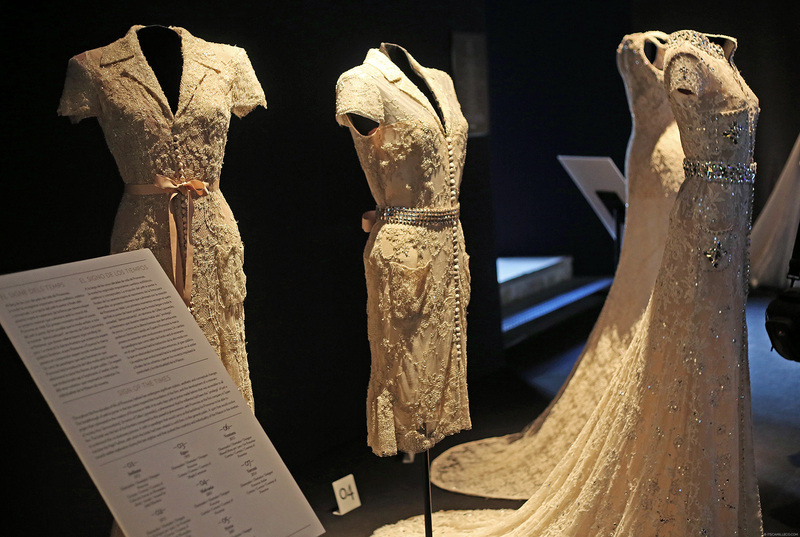 Most of the gowns in this exhibit were borrowed from real Pronovias brides. I was told that Pronovias had to go through so many of their records to get a hold of them. The effort was well worth it of course. Attendees get to see how the brand’s designs have evolved through the years. These are the oldest ones on display. Look at how different it is from the Pronovias we know now. 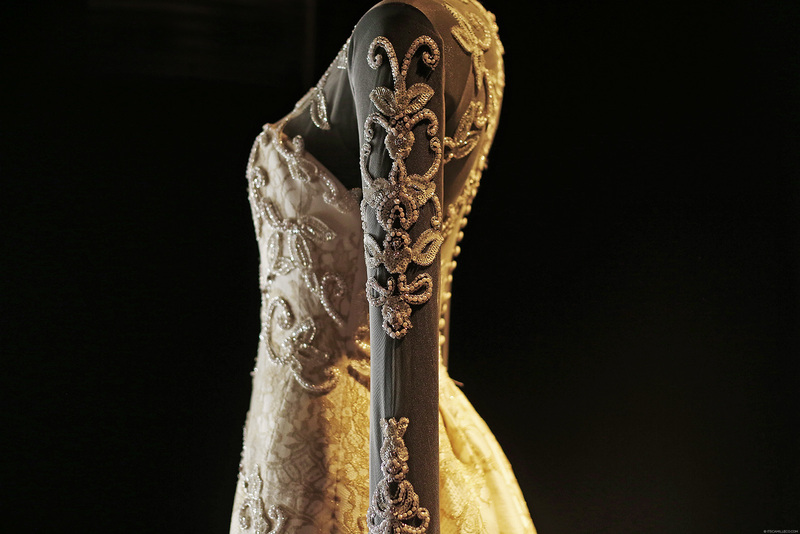 Wedding gowns then were so simple! 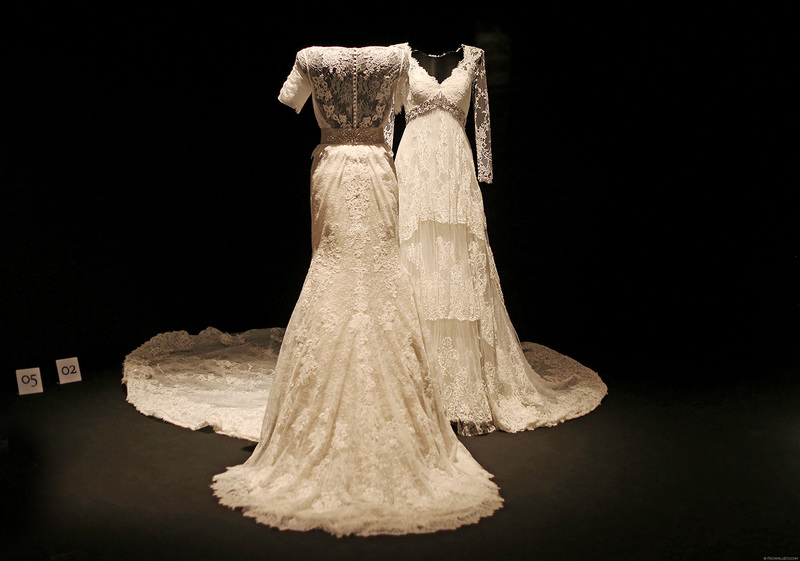 The one on the right was designed by the house of Balenciaga and made by Pronovias in 1988. 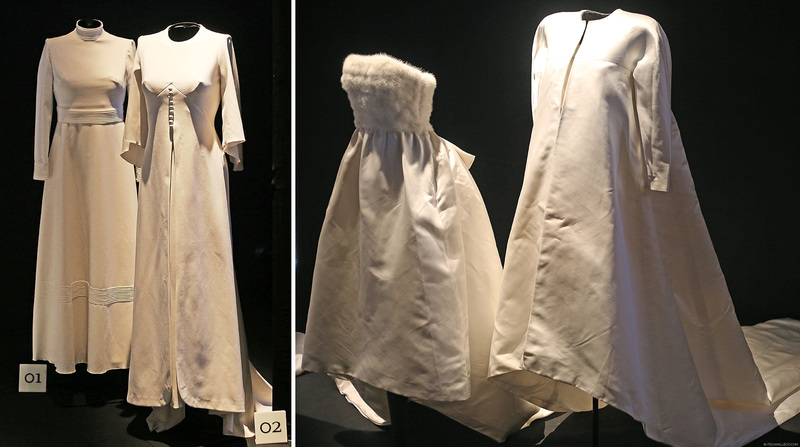 It’s a two-piece strapless dress with a white mink bodice and matching coat in silk satin. This low-cut gown on the right is one of my favorites. I kept staring at it! 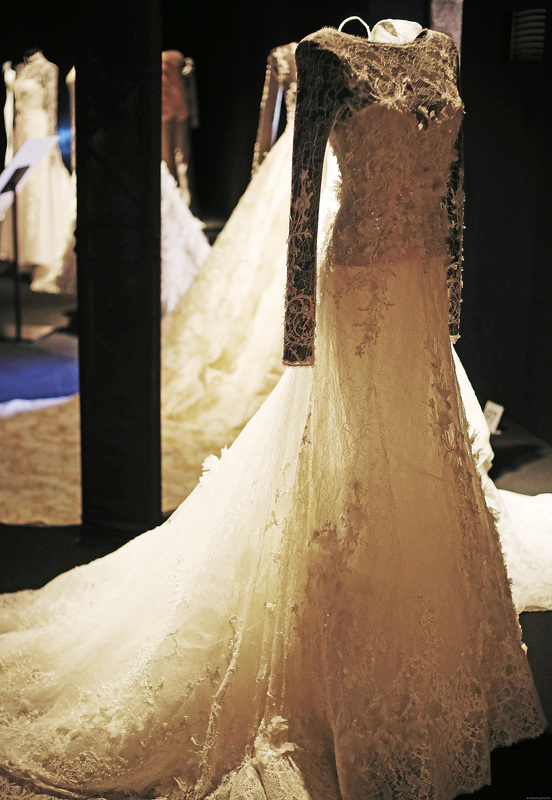 I couldn’t help but admire all the lace fabrics that were used here. It may look so simple but the combination of sheer lace fabrics is just perfection. This is how the gown looks from the back. I died. 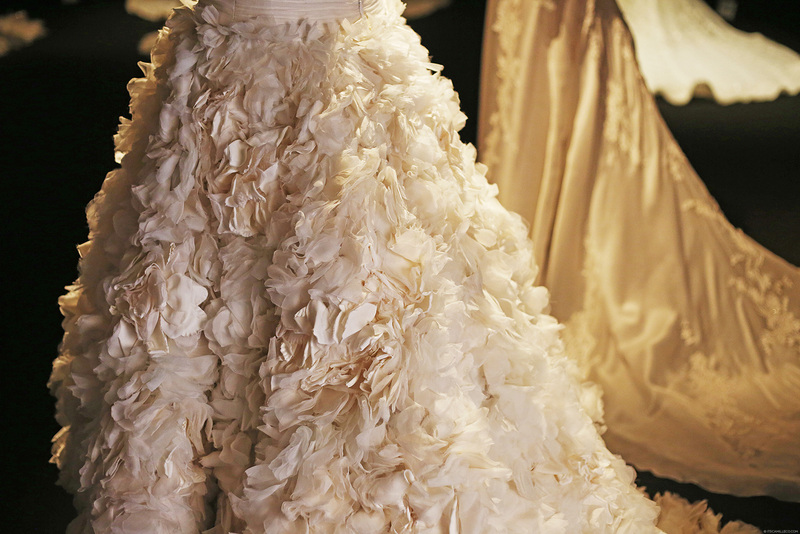 I’ve never seen shirt-style bridal gowns and dresses but if they look like these, I wouldn’t mind wearing one. Check out the embellishments on these. You can get a closer look below. This silk satin gown was part of Badgley Mischka’s collection for Pronovias. This one is a stunner! I love dramatic backs and this is the queen of all dramatic backs! 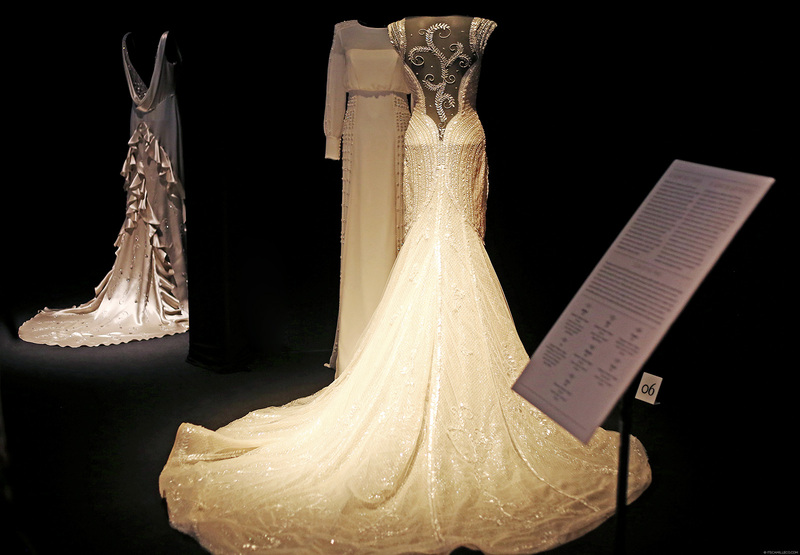 And finally, a gown Pronovias made for Kate Middleton. 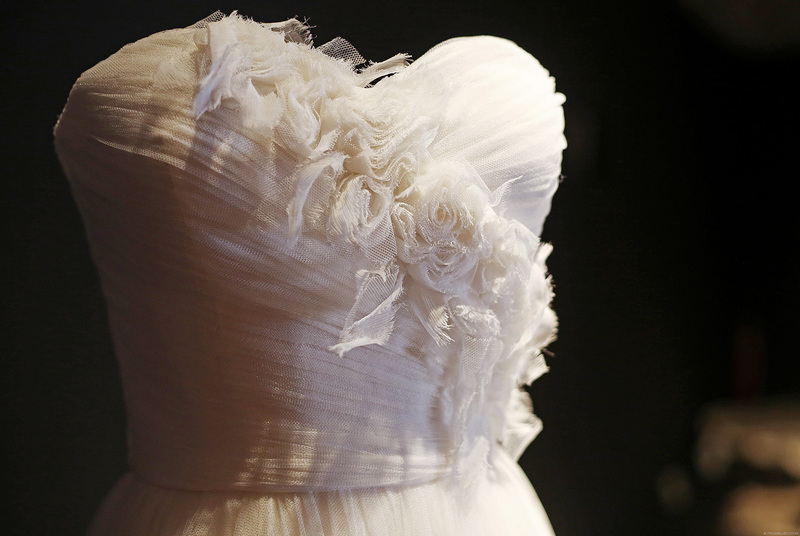 This is just one of the many bridal gowns Pronovias gave as gifts to the Duchess. i really cant stop starring all the pphotos. Too much details and so beautiful. hi Cams! I really really love it whenever you blog things like this. I can see kasi na alam na alam mo yung mga sinasabi mo because proving that you’re not only a blogger but a very talented fashion designer. 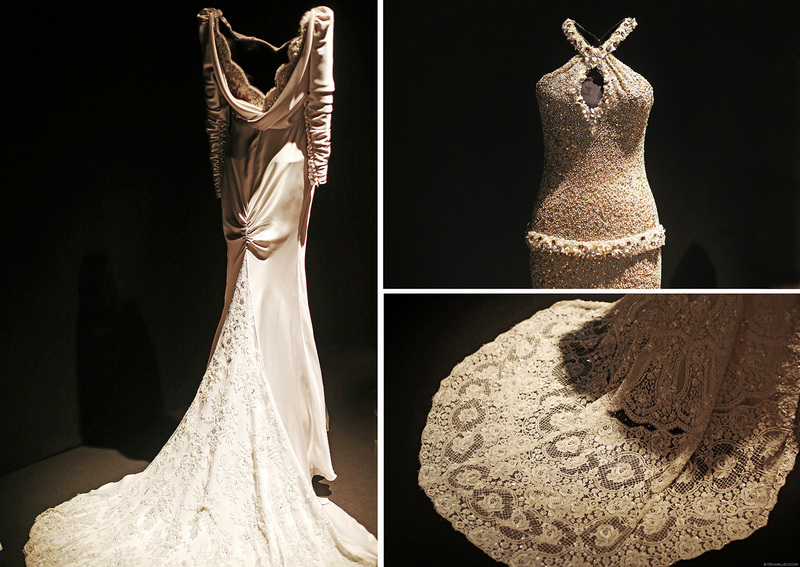 The details of the gown, the materials used etc., as if nakita ko na din yung mga gown just reading your blog. Very nice. So far, this has been my favorite article in your blog. A whopping congratulations to you, Miss Camille. Being part of such an event, I can only imagine! I looked through the photos here and agree that indeed the setting is much like a wedding celebration. 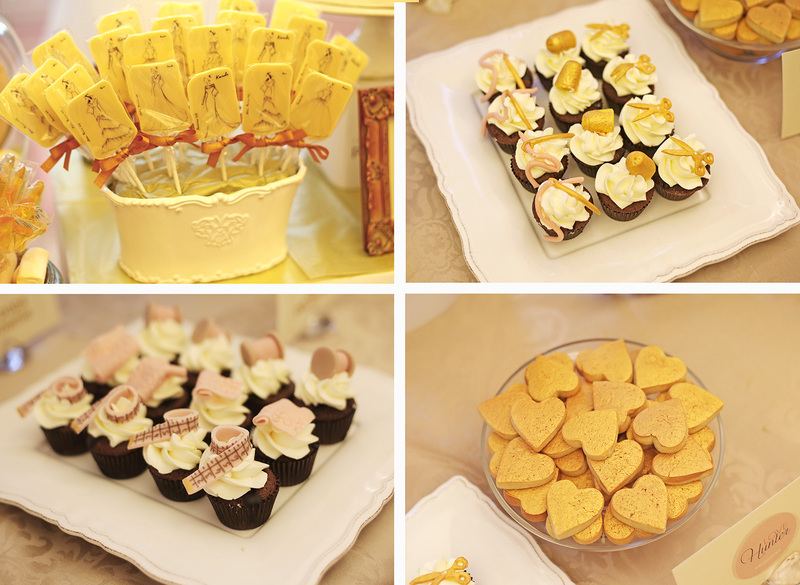 I enjoyed so much of the details, from your place card, to the treats, to the gowns; it was definitely a delicious eyeful. My eye definitely got caught on those white chocolates you wrote of. 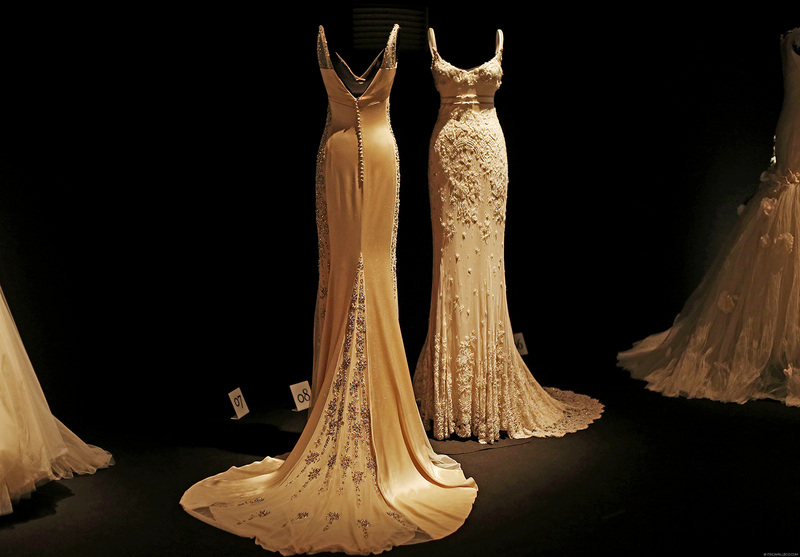 The iconic Pronovias gowns iced on them are to die for! I wish you got to try on one of the gowns, especially that low-cut one in lace that you favor. The single picture of you in that dreamy half-light made you blush a bit more in the reflections of your pink outfit. I too love the back of the gown you showed. My jaw literally dropped! The entire piece must be so intricate! I wonder how long it took to make. 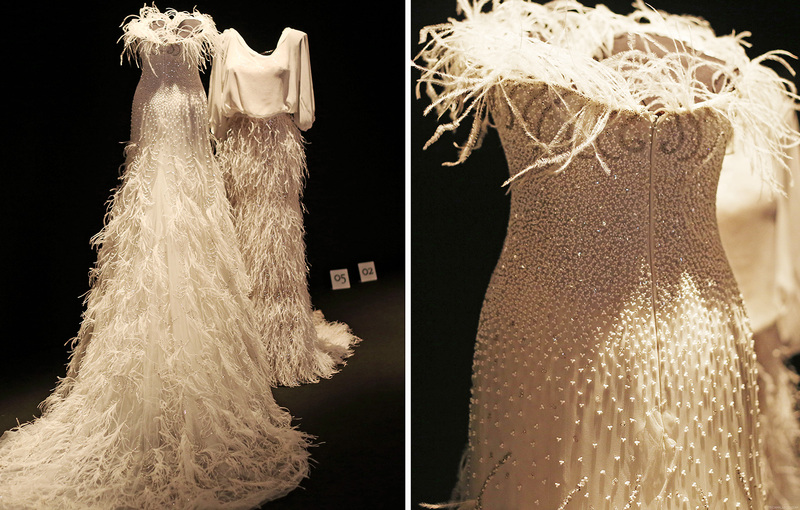 My favorite is the feathery gown- the one in the photos right above the shirt-style gowns. 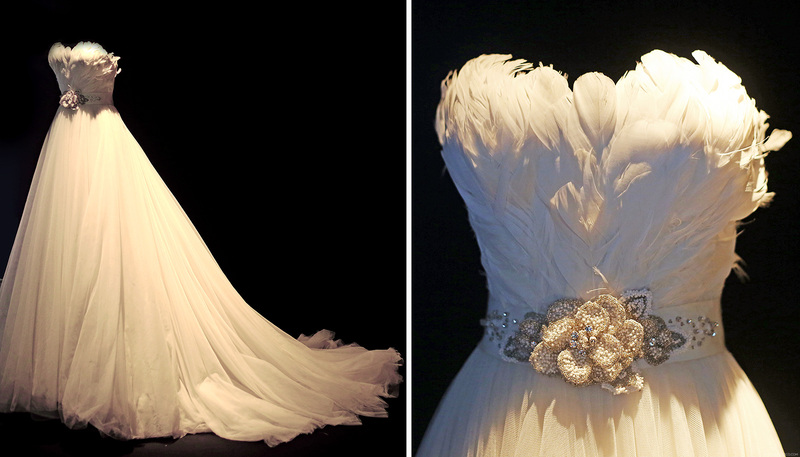 The white feathers remind me of Draconian wings and the silver floral embellishment on the belt is gorgeous! I wish I got to try them on!!! :) It takes them a SUPER long time to finish everything because they’re all handmade :) My favorite it still the layering of different lace fabrics. Genius! I woke up minutes before 3am for the show (though late ng konti sa show cause it’s hard to get up. haha). Sulit! Grabe! It’s hard to tell which is my favorite anymore. Haha! 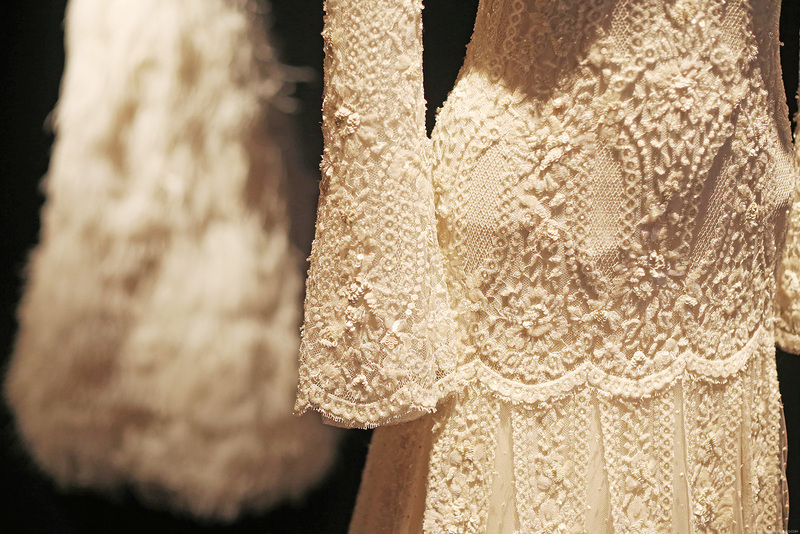 Though sheer and laces are classics for gowns like these, they don’t make it look boring. Hindi nakakasawa. And the shirt-style bridal gown? It’s a first, I guess. At least for me. Hehe. Are you going to have another post about the show? It’s good they still have those vintage gowns :)And gown for the Duchess?! Bigtime! Wow! 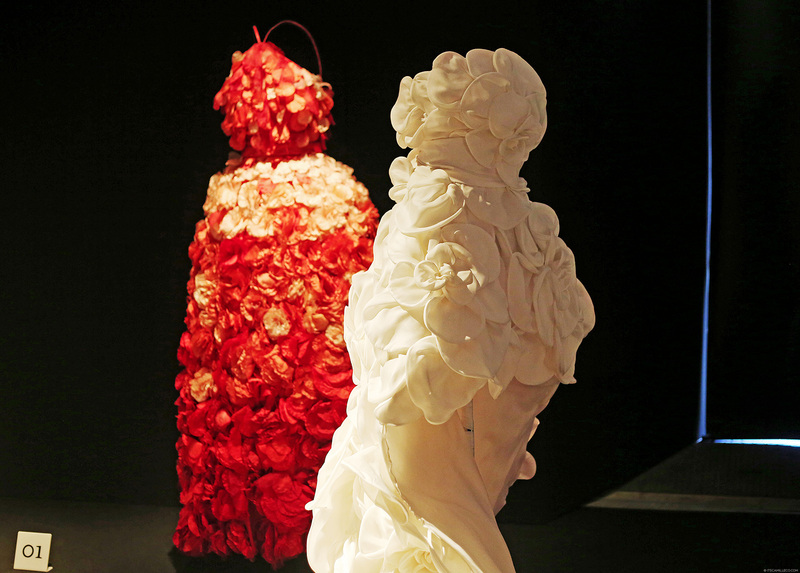 I am in awe of all these dresses! At first I was like, “The dresses are so prety”, but then I took a closer look at your close-up shots and I was blown away. The details of each piece are so exquisite and the craftsmanship is simply impeccable! 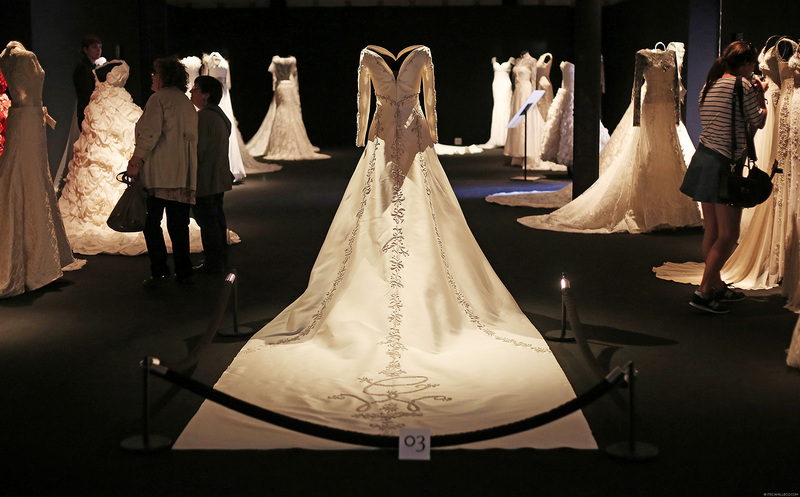 I can only imagine how fulfilling it must be to create bridal gowns and turn a woman’s dream into reality. Hopefully, if I become a designer (in the wayyyy distant future, maybe when I’m 50 hahaha) I can experience that myself. Me in a bridal gown? Long long time from now! This post is really inspiring! I love how it works in my mind like dreaming for it someday. I hope I could see it in person soon especially you. Are you going to publish a book also? you right, food and chocolates are hesitant to eat. super cute nila. 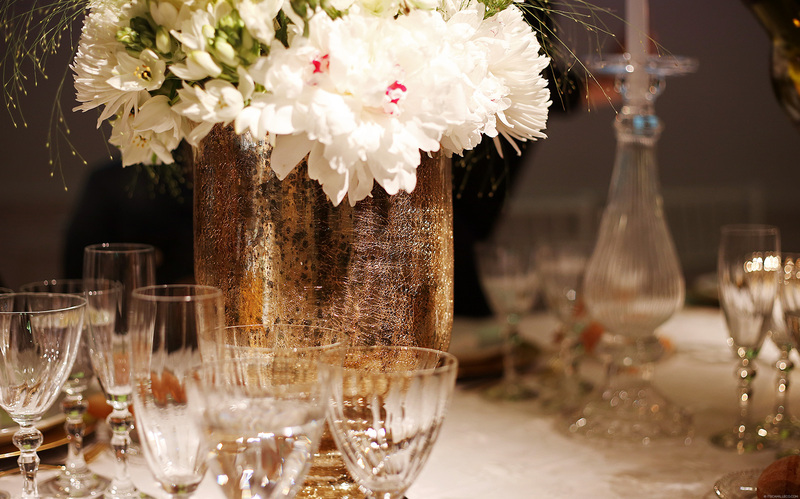 This is very enticing…dreaming of wedding! I really impressed, your designs are amazing, especially the one with the feather. How much is cost and how i can order it ? These are SUCH beautiful shots! Thank you for sharing! I love your outfit and how detailed these gowns were! Can I just say I stayed for a long time reading this post? Hahaha! 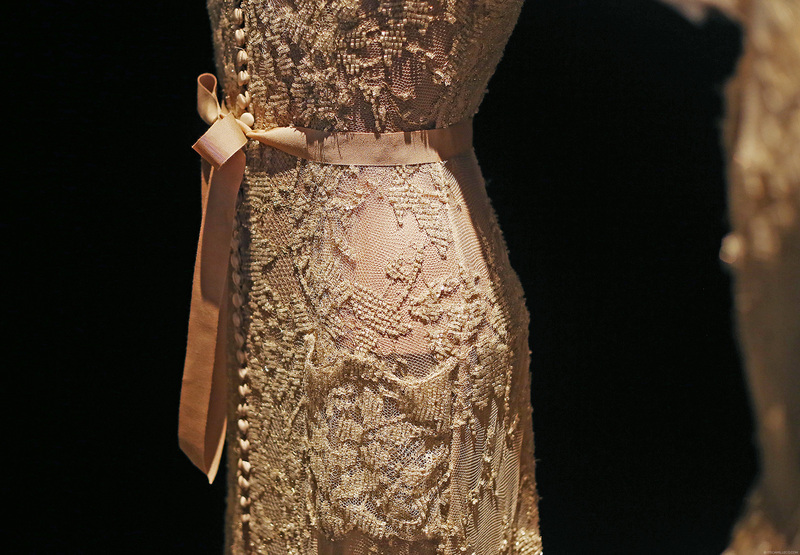 I can't stop staring at the dresses o_o The beadwork and all the little details are just so amazing!!! I'm trying to pick a favorite but everything looks so beautiful! Although I really like the one with the feathers on the tube part. It looks so flowy and light wow! Another one that I love is the dress with the dramatic back!! So gorgeous and stunning and jaw dropping hahaha!! <3 I love everything Ate Cams!! I would love love love to try everything hahaah. Btw, were you allowed to touch the dresses?? 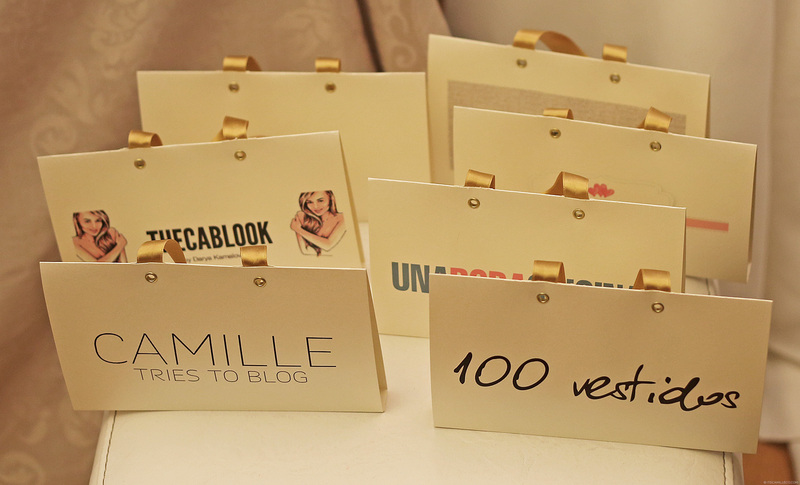 As a bride to be, and a blogger – I have to say that this is pretty much heaven. What an elaborate event, I hope you enjoyed yourself! WOW. WOW. WOW. Yan lang nasabi ko. Ganda. Especially yung queen of all dramatic backs! Wowowoooow! Take me there pleaaaase! Just looking at them thru your pictures is soooo dreamy, what more if im there, oh my! HEAVEN INDEED!! Makes me wanna get married noooow hahaha! Uuuum I think my mouth was wide open during the entire duration that I’ve read this post. Wow. Just… wow! I wanna be a Pronovias bride! 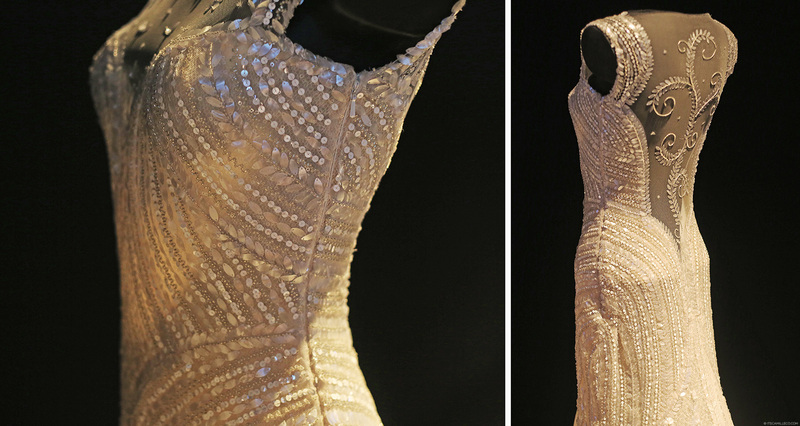 The details put in all these gowns are so grand. I cannot even think of an appropriate adjective to describe them enough. Oh dear I need to find Prince Charming! Wait scratch that, HE needs to find ME! Haha. I love love love this post Cams. I’m a lace kind of girl so all these are heaven to me! I hope you go to next year’s show so that you can bring all of us with you again… or maybe you can bring me? LOL! I hope so too!!! :) Wait til you see the fashion show!